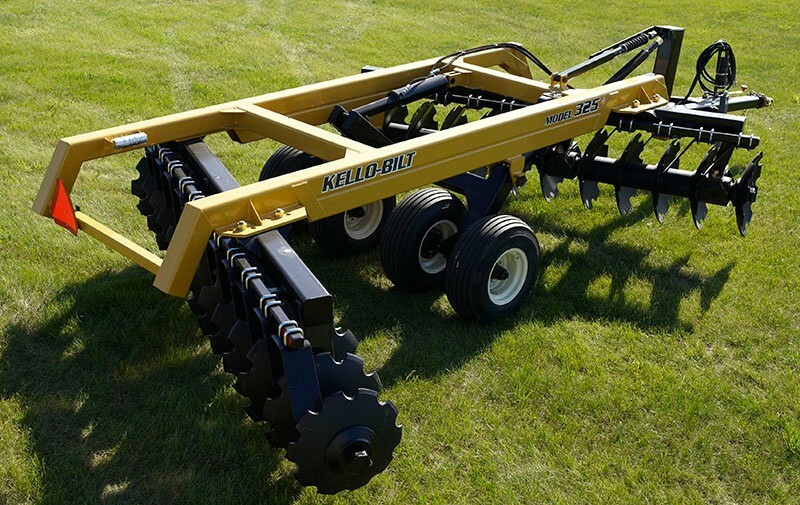 This model is perfect for plowing down of heavy residues and primary tillage operations and light industrial applications. Oil Bath Bearing: Features back-to-back tapered roller bearings, operating in 90W gear oil and sealed with Duo-Cone TM seals. Welded Spacer Spool: Fabricated steel spacer spools, which will not shatter nor compress, provide maximum durability in the toughest conditions. Gang Shafts & End Washers: Made of high carbon alloy steel to eliminate stretch and premature failure. Bearing Standards & Wear Plates: Consisting of a minimum thickness of 3/8" rectangular tubing for maximum support. Gang Bar: Fabricated as a single weldment for maximum stability, with no U-bolts to stretch and loosen that can cause loose disc assemblies or bearing failures. Oil bath, back to back timken tapered roller bearings in heavy ductile cast. Bearing comes complete with wear plate. 2-1/2" heat treated high strength alloy steel, threaded on both ends. 12" spacing, welded heavy duty spacer spool. 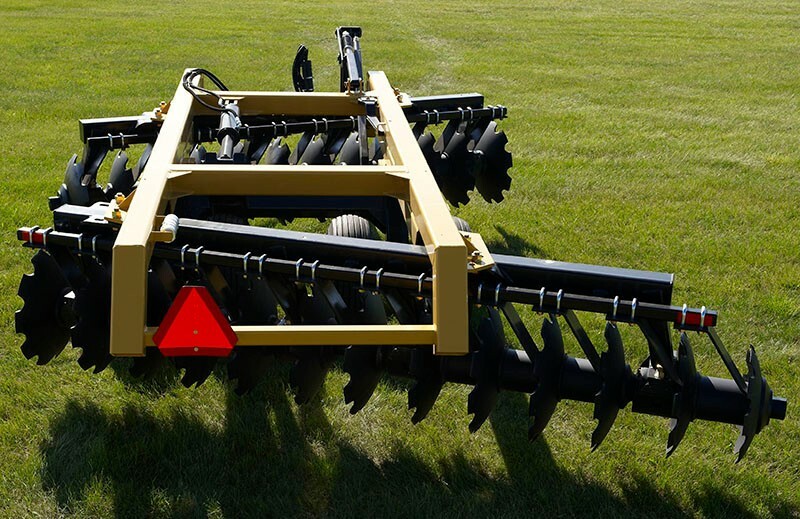 3/8" x 28" notched disc blades front and rear. 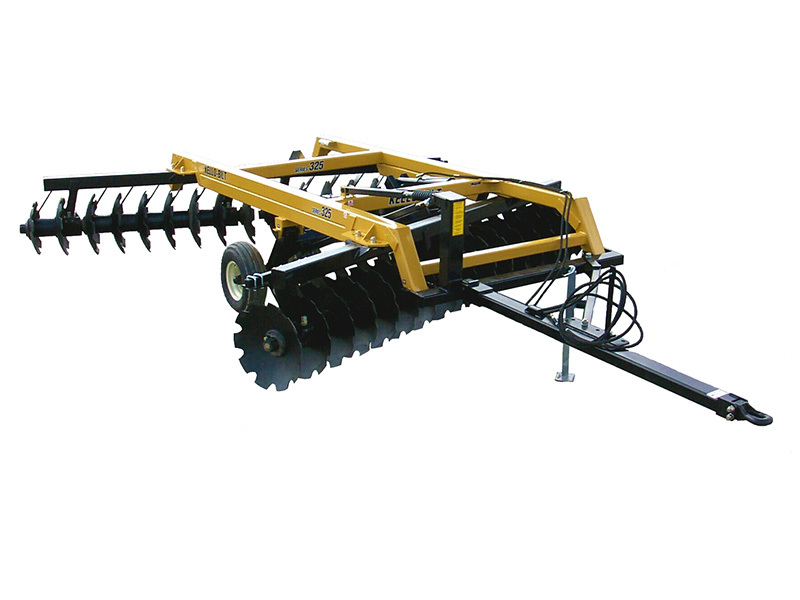 Optional 30" and 32" notched blades available. 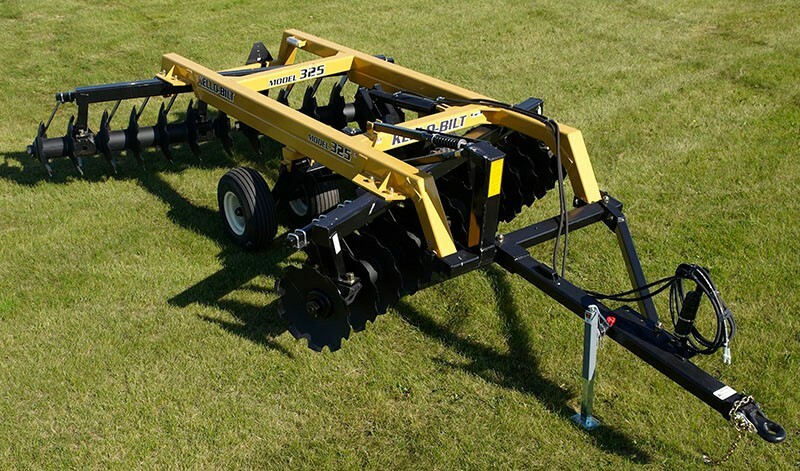 Comes with four 12.5L x 15 (load range F) highway implement tires mounted on 8 bolt hub assemblies. 5" x 16" hydraulic cylinder complete with hoses, depth control segments and cylinder transport lock. 7,000 lb hitch jack, plated grade 8 fasteners, gang wrench (2) and separate fore/aft and transport level controls. GANG AXLE 1-5/8" 2-1/8" 2-1/8" 2-1/8" 2-1/2" 2-1/2" 2-1/2" 2-1/2" 2-1/2"
BLADE SIZES 24" 26" - 28" 26" - 28" 26" - 28" 28" - 32" 30" 32" 36" 30" - 42"
SPACING 9" 10-1/2" 10-1/2" 10-1/2" 12" 13" 14" 17" 14" - 17"
Armed with years of experience, superior components and world-class technology, Kello-Bilt is the answer to the intense demands of heavy duty discing. Give us a call and we can help you decide. 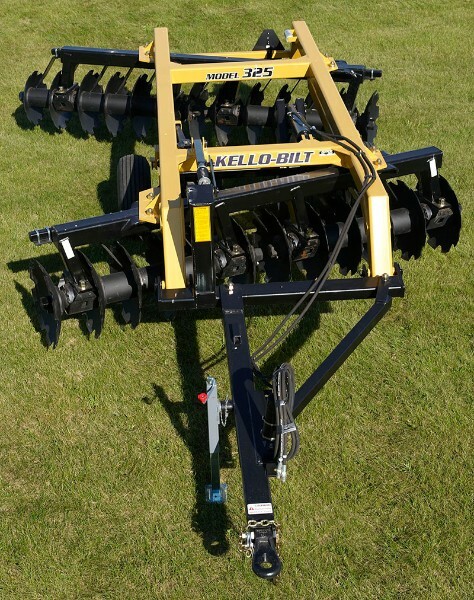 © Copyright 2015-2019 Kello-Bilt. All Rights Reserved. Site by Reaction.